Raw honey is one of nature’s great nurturers. And considering the wide array of health benefits it provides, most people only view honey from a culinary perspective. Sure, it adds a sweet, delicious taste to baked goods. And sure, it makes a great natural alternative to conventional sugars. But the culinary applications of raw honey are just the tip of the iceberg. While raw honey may be a relatively new blip on the alternative health radar, it’s inherent health properties have been valued by ancient civilizations for thousands of years. These cultures recognized the natural healing and antibacterial properties of honey. Historically people applied it to wounds and abrasions to avoid infection and speed recovery. More recently on the timescale, natural honey remedies for a sore throat or a stubborn cold have been passed down through the generations. These remedies may continue to play a part in the health of your own family today. But while the health benefits of raw honey cannot be refuted, you probably had no idea that honey can make a powerful addition to your beauty routine. 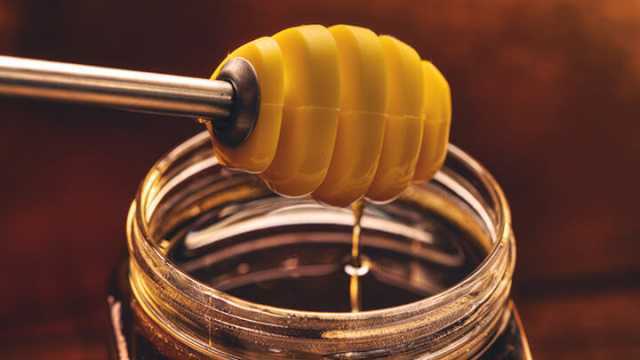 Considering how delicious honey is, you may be surprised to learn just how many wonders this natural sweetener can work for your hair, skin and nails. In much the same way that honey nurtures your insides, it’s health-giving benefits can also be applied to those areas of your body which others can actually see! As research continues into the potential of raw honey, it’s beauty routine applications are rapidly expanding in scope. These include keeping your skin looking more supple and young, making your hair shinier and stronger, strengthening your nails and warding off unsightly skin conditions. But the real beauty of raw honey is that it is entirely natural. This means that you get to enjoy all of its appearance-improving benefits, but without the nasty side effects of conventional toxic beauty products. Here are five ways you can use raw honey for a more natural beauty routine. Hey Buddy!, I found this information for you: "5 Beauty Fixes Using Raw Honey". Here is the website link: https://www.thealternativedaily.com/beauty-fixes-with-raw-honey/. Thank you.